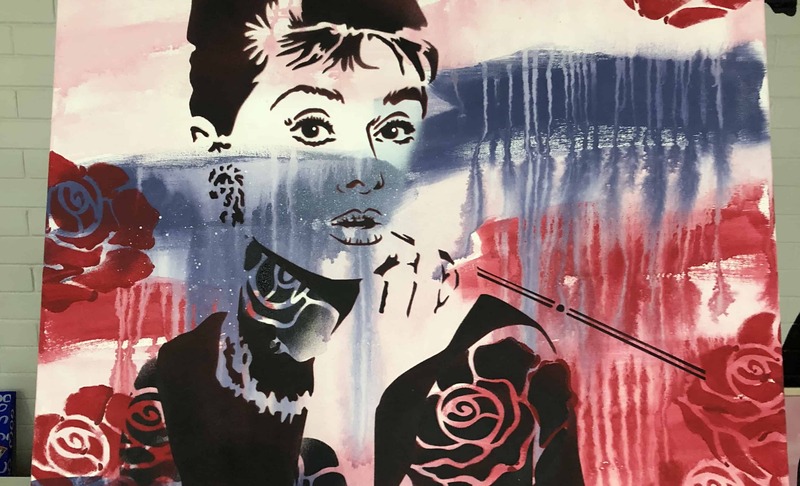 Join us for to PAINT Audrey with tattoos and SIP through an enjoyable evening! You’ll be bringing home an original one off original stencil image, painted by you on a quality 600x760mm double thick canvas in colours of your choosing. I love the idea of tattooing the great beauties! We will paint an interesting background in your choice of colours then take time to craft tattoos onto the lovely Audrey at Tiffanys. Tattoos optional!